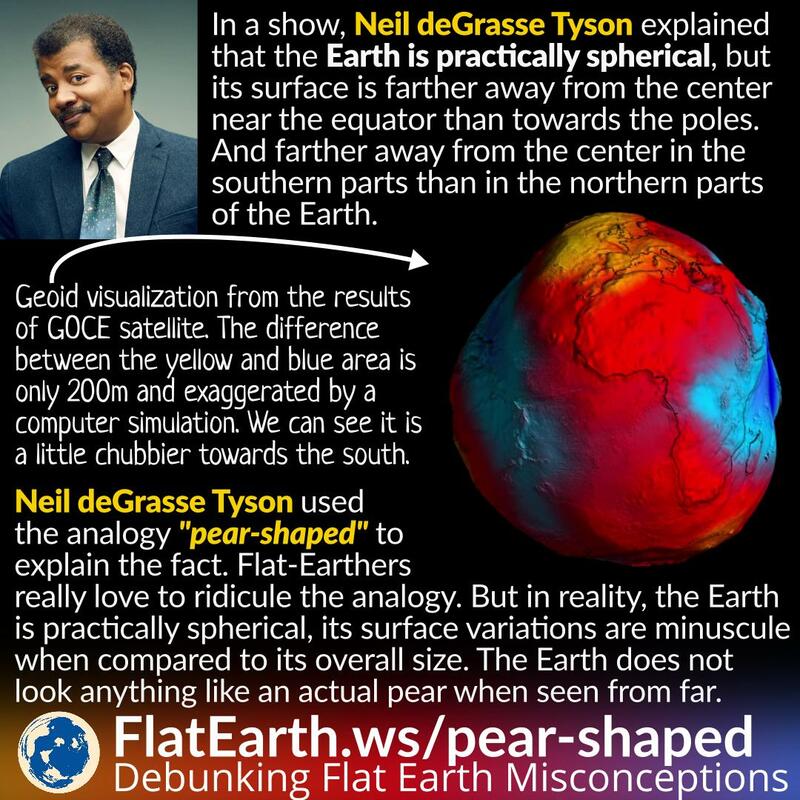 In the video, Neil was asked by the host about the shape of the Earth. Neil said the distance from the center to the surface near the equator is farther than near the poles. The reason is that the Earth spins, pulling the surface near the equator toward the outside, making the Earth ellipsoid, or oblate spheroid. The difference is small, only 21 km (13 miles) compared to Earth’s radius. But in the southern parts of the Earth, the distance to the center is larger than in the northern parts. In effect, the Earth is a little chubbier in the south. Neil used the analogy ‘pear-shaped’ to explain the fact. What Neil meant was the geoid model which describes the figure of the Earth more accurately than the spherical or ellipsoid model. How much is the difference between the ellipsoid and the geoid model? Not more than 100 meters, or only about 0.0016% of the Earth’s radius. Neil explained everything clearly and in a concise manner. But then flat-Earthers happened. They edited out the ‘unnecessary’ parts and added in objectionable, emotional captions and narrations. Neil and other scientists are portrayed to be wishy-washy, and uncertain about the shape of the Earth. The original video is fine, and it is practically impossible to make anyone very emotional about the subject. If anyone finds other videos already spiced up by objectionable captions or narrations, it is a good idea to turn around and watch the original instead. 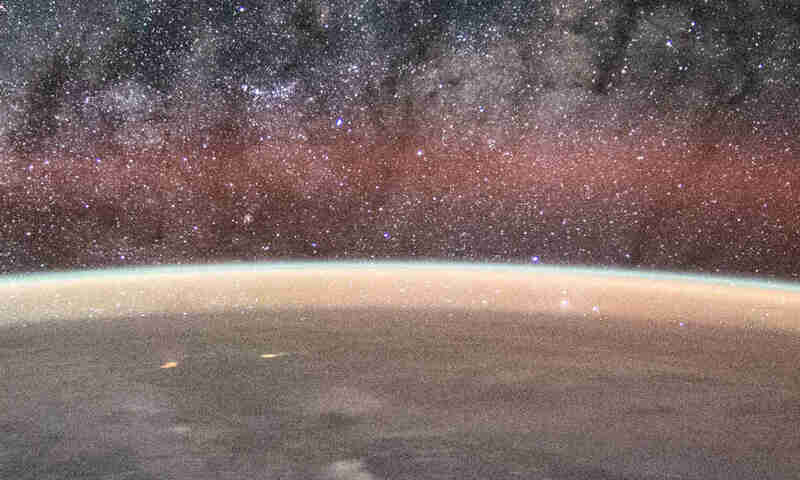 When seen from space, the Earth is practically round. The reason is that the difference of radius near the equator compared to near the poles are minuscule, only about 0.3%. But in a high-resolution picture, the difference can be measured, and it will be consistent with expectations. On the other hand, the ‘pear-shaped’ geoid model is too small and impossible to measure from photos. The is the original video where Neil said the pear-shaped analogy.